Are you looking to have the most EPIC birthday party ever? obstacle course – all offer unique alternatives to any traditional birthday party. Get your birthday crew out of the city for an unforgettable Colorado adventure. If you live here in Colorado or just coming to visit, be sure to check out all we have to offer at our Idaho Springs Base Camp. 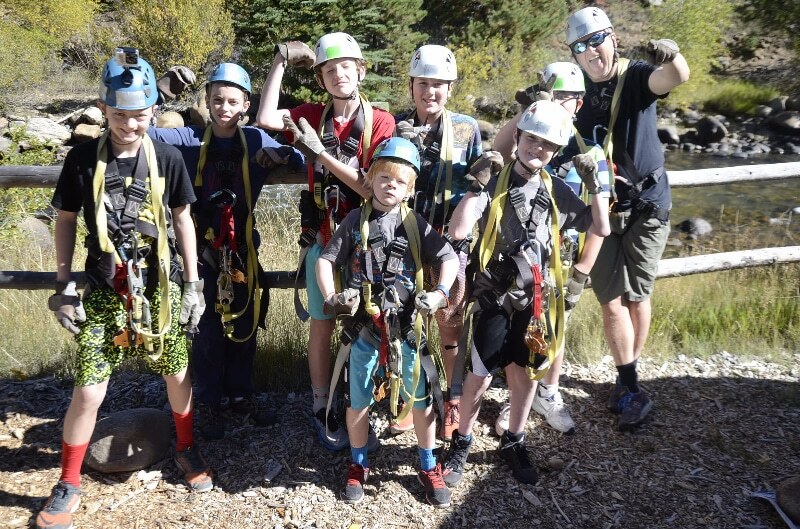 Conveniently located just 45 minutes from Downtown Denver, the Colorado Adventure Center is the perfect addition to any birthday celebration. Half and Full Day options allow you and your birthday crew to enjoy a whitewater rafting, or zip line, or aerial park adventure and still have time to head back to the mile high city for that traditional birthday dinner. Choose from a variety of trip options to make your birthday festivities complete. We offer a beginner whitewater rafting trip – perfect for younger adventure seekers – to take in the scenery of Colorado while navigating through class I-III rapids. Minimum age is 6 years old (dependant on water levels). If your group is a bit more adventurous and would like to take their whitewater rafting adventure to the next level, try out the intermediate section. Get ready to paddle! The intermediate section involves navigating class I-IV rapids! Great for aggressive first timers. Minimum age is 14 years old (dependant on water levels). If some of your birthday goers are a little water shy and prefer dry land – no problem! Get them racing through the treetops on our eight tower Zip Line Course! Cruise over a mile of zip lines criss crossing over Clear Creek. Or, push your group’s skills on the brand new Colorado Sky Trek. The Colorado Sky Trek is a state of the art, self-guided challenge course with over 60 obstacles increasing in difficulty as you work your way up the towers! It’s your Birthday! Make a day of it! Package Rafting, Zip lining, and the Colorado Sky Trek together with a fresh grilled lunch for a full day of adventure! We also offer group discounts for birthday groups of 10 or more on any single activity. Birthdays are always an exciting time, so why not have an extremely fun adventure to go along with it! Let us entertain the kiddos while providing a safe, adventurous, and unique experience for guests of all ages. Everyone should experience at least one birthday party that will be an adventure of a lifetime! Advanced reservations strongly recommended. Call to request info today to get started booking your Colorado Birthday Party!